St. John's Lutheran Church > Blog Timeline > Senior Ministry > Carolyn Byrd Retries as Director of Senior Adult Ministry: Thank you, Carolyn! 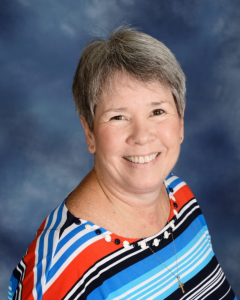 Carolyn Byrd Retries as Director of Senior Adult Ministry: Thank you, Carolyn! Almost four years ago, Carolyn Byrd became St. John’s first director of senior adult ministry. On May 30, she retired from that position. At a wildly successful Senior Summit, the attendees developed four areas of interest: education, fellowship/socialization, travel and fun. As a result of the summit, St. John’s developed a Senior Seasons program, the centerpiece of which is the Senior Academy — six weeks of classes on a variety of topics held in fall and spring. Some 40 to 50 people per “season” — from St. John’s and from the community — have participated in the academy. Far more than that have participated in other aspects of our senior adult ministry. In the spring of 2014, Carolyn had just retired from a long career as an emergency department nurse when Pastor Rhodes approached her about the position. God came through on his side of the bargain. Carolyn has had a wonderful steering committee comprised of Jeanie Moore, Tom Childress and Cyndi Osterhus. “The St. John’s family has tremendously embraced and supported this program,” Carolyn says. But Senior Seasons is more than just the Senior Academy. It’s day trips and the annual retreat to the Isle of Palms. It’s gatherings in winter and spring. It’s the Seasons Gifts shop to support the ministry. In May, Carolyn took 47 seniors on a four-day trip to Washington, D.C. (see photos on pages 12-13). Opening the gift shop, Carolyn says, was a big learning curve. The Seasons Gifts board members include Sherry Mason Brown, Toni Kenerly, Jane Rowland, and Ann Bostian, with Kim Lentz and Sherry doing most of the buying. Senior Seasons recognizes the different seasons in life, and Carolyn, 62, herself is entering another season. In her retirement, she is looking for more time with her family. That includes her parents, Bob and Anne Loeblein, her three daughters, and eight grandchildren, who live in Atlanta and Arden. She’ll also spend more time with her husband Tim, 63, who works for Duke Energy. They’ll celebrate their 41st anniversary this month. The new director of Senior Adult Ministry is Diane Poole, who started May 9 and shadowed Carolyn for the remainder of the month. She spent her career in human resources, and is an active member of First Baptist Church, where she has taught a senior ladies Sunday School class. At a previous Presbyterian congregation, she served as a deacon and elder, and worked with the youth program. She’s a trained Stephen Minister. Diane’s husband, Buddy, spoke at the Senior Seasons spring gathering, and that’s where she heard about the position. Diane lives in Salisbury with Buddy, her husband of five years who is general manager at WSAT Memories Radio. Between them, they have four children, 11 grandchildren, and one great-grandchild. So, we bid farewell and hello. Thanks be to God for this significant ministry of the church!